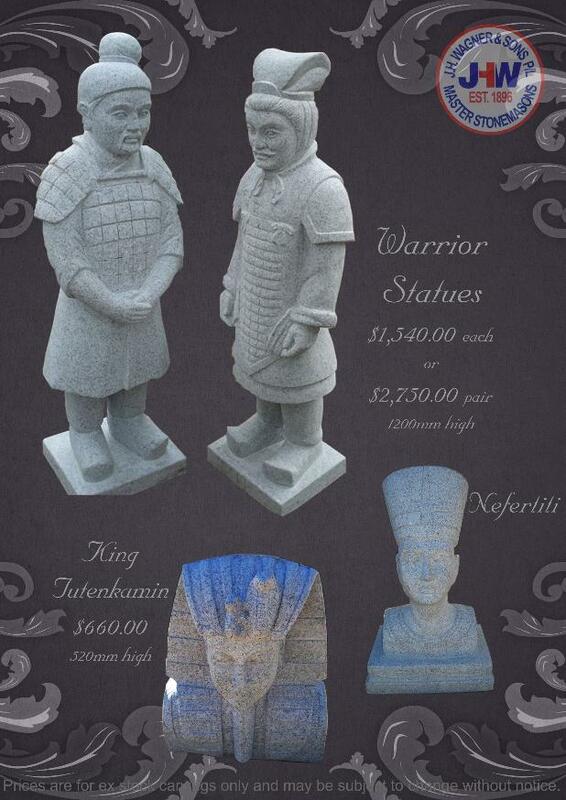 Fully carved stone statues are available in Egyptian, Chinese, Japanese, European and Australian themed designs from the suppliers of Everything in Stone 'J.H. Wagner & Sons'. Choose from Granite and Marble for classic or modern styles.